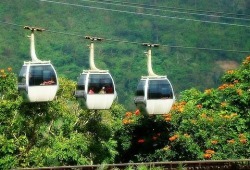 Car System in the Philippines and Also the only Funicluar System in the Philippines. 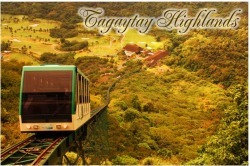 The Complex also Boast of having it's own 7 story hotel for it's guests and visitors and one of the Best Steakhouses in the Philippines, the Highlands Steakhouse (now have a branch in SM Mall of Asia) and numerous activities like paintball, tennis, two 18 hole golf courses (tagaytay highlands and midlands), badminton, handball, bowling and lots more plus many different kinds of spa's and massage rooms. But there is a CAVEAT! you have to be a member or a guest of a member to avail of this fantastic amenities!